I am honored, humbled and amazed to be a finalist in three categories at this year’s Business and Humanitarian Awards Gala, which took place on Friday. 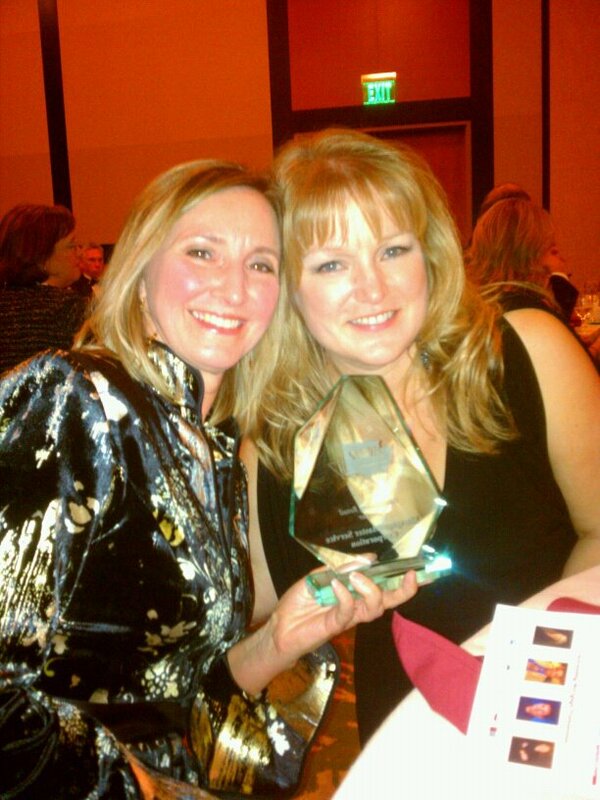 This annual event is organized by the Washington Association of Mortgage Professionals to recognize Washington real estate professionals (mortgage, real estate brokers, title and escrow) who are the epitome of their profession. 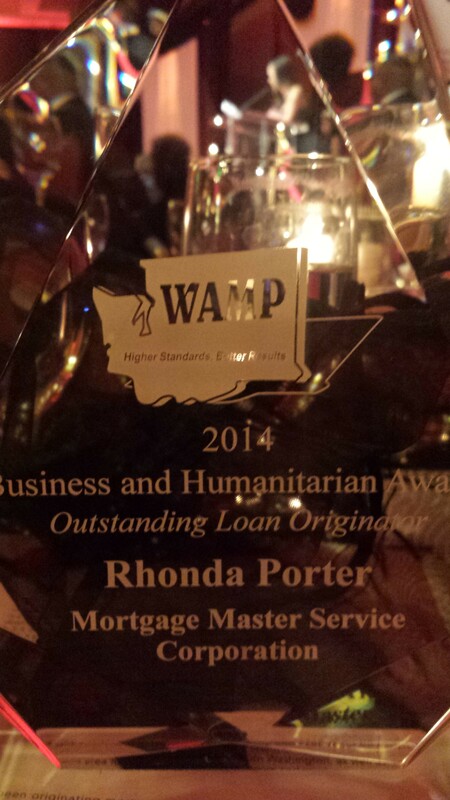 To receive the award for Outstanding Loan Originator was a complete surprise to me, despite being a finalist. I wish I would have prepared something to say when the award was presented. Between the shock, the bright lights and the 200 plus glamorous faces staring up at me, I was almost rendered speechless. I am humbled to be a finalist in three categories at the 2014 Business and Humanitarian Awards Leadership Awards Gala. This annual dinner is an event that is organized by the Washington Association of Mortgage Professionals (WAMP). I am a finalist in the following categories: Loan Originator, Media/Marketing Company (Mortgage Porter) and Media/Marketing Individual (Mortgage Porter). Should I attend Seattle Agent ReBoot or Greater Seattle RE BarCamp? Full disclosure, I am one of the organizers of this years Seattle RE BarCamp which will be taking place next week, Thursday, March 13, 2014. And I am planning on attending both Seattle Agent ReBoot and Seattle RE BarCamp next week. Why? Because these two events offer two unique experiences. 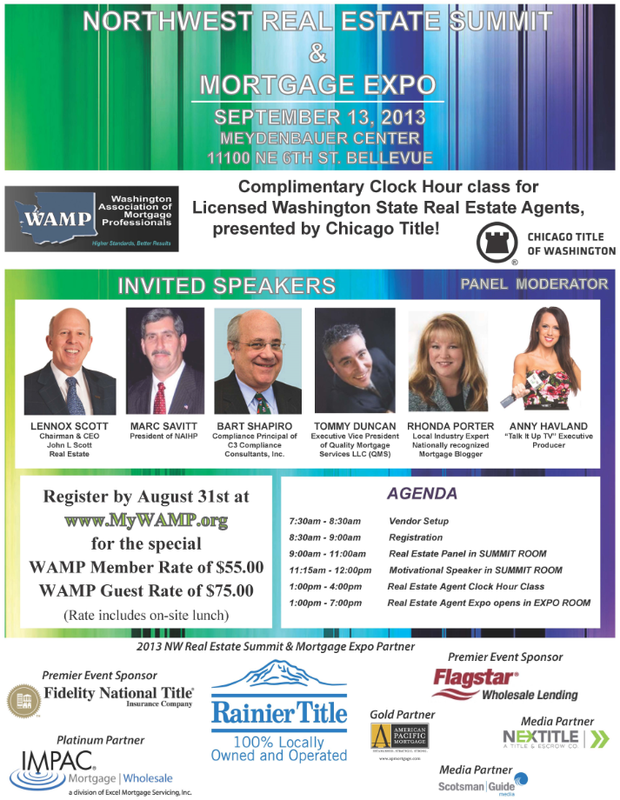 Two Home Buying Seminars Coming Up! If you are considering buying a home and want to learn more about the process, I invite you to attend one of upcoming seminars I have scheduled. 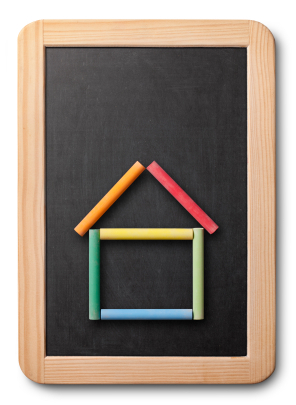 Both classes are sponsored by the Washington State Housing Finance Commission (WSHFC) and attendees are eligible for down payment assistance programs offered through WSHFC. Do you have a question for President Obama about housing? Here’s your opportunity to ask President Obama your question related to housing, including mortgages. Are you wondering why we don’t have HARP 3.0 yet? Or perhaps why HUD does not allow an FHA streamline refi to a shorter term if it increases the payment (even if the borrowers qualify for the increased payment)? Maybe you’re wondering why would bank and credit union loan officers only be registered and held to the same standards as a licensed loan officer? I’m honored to have been invited to participate on the panel at the Northwest Real Estate Summit and Mortgage Expo. This event is scheduled to take place September 13, 2013 at the Meydenbauer Center in Bellevue. To rsvp or for more information, visit www.mywamp.org. I’m putting the final touches on the home buyers education seminar, sponsored by the Washington State Housing Finance Commission, that I will be teaching this weekend. The criteria for the class is set by WSHFC and it’s a lot of information to review from different types of mortgages, qualifying and even how to select a real estate agent or lender. I thought I’d share a few tips for how someone may want to prepare for a home buyer’s class, like the one I’ll be teaching in Seattle. I’m pleased to announce we’ve added a guest speaker: Julie Beller from Cambridge Home Inspections. Plus, Ira is bringing his infamous house roasted coffee and will be serving up Red Star Pizza for lunch to class attendees. Of course you can still bring a sack lunch, if you prefer. We will be learning through the lunch hour as the WSHFC requires the class to be at least of 5 hours. If you or anyone you know are considering buying a home and could use help with down payment, you should consider this class! Participants are eligible for the Home Advantage program and various WSHFC down payment second mortgages. To RSVP, please call 253-234-2228 or online at seattlehomebuyerclass.eventbright.com – space is limited to this free event so please rsvp today! Interested in other classes I’m teaching at? Click here.